In common with many other rural communities Maidens does not have access to mains gas. This combined with general issues of local economics raises serious concerns over fuel poverty and energy consumption. 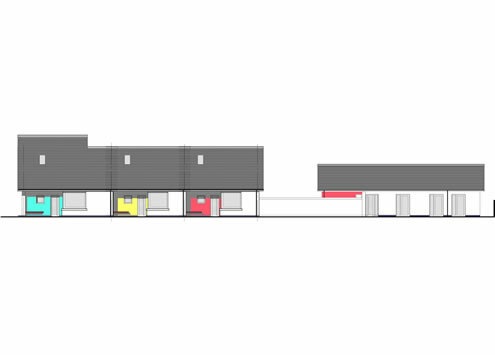 In order to address these issues this development of seven houses incorporates renewable energy designs. 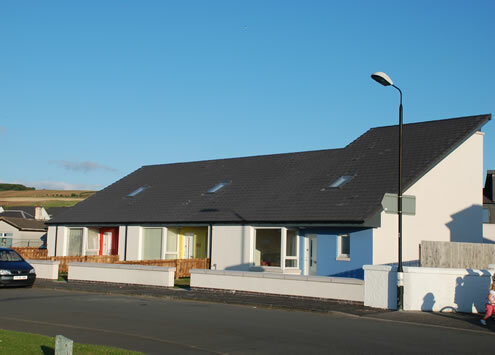 Four of the houses have air source heat pumps, a relatively new method of heating dwellings in this country. Three houses have solar water heaters mounted on the roof. 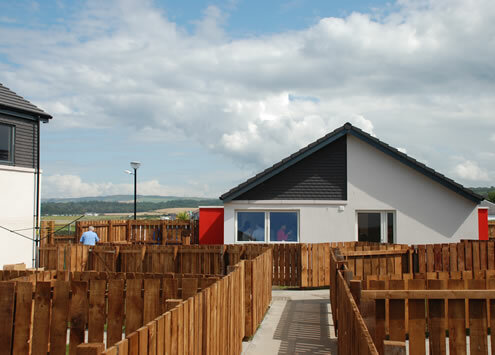 The combination of these heat generating installations allows Ayrshire Housing to monitor and develop their strategy for combating fuel poverty based on actual performance. A monitoring regime is in place to measure the energy and economic benefits of each system and inform decisions on future rural projects.